GM plants are still able to proliferate in countries and continents where their use have already failed. Lack of vital information about certain GM crops may be one of the primary reasons which have led biotech companies to continue distributing them even though their cultivation has been marred by failure. One such example is Monsanto’s failed GM Maize. 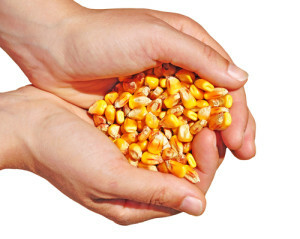 According to a report provided by the African Safety for Biosafety, the rest of the countries in the African continent are being pushed to cultivate the failed and defective Bt Maize. The MON810 maize has recently been withdrawn from farms across South Africa because of the worsening insect resistance the crops have managed to develop. In the process, it became harder and harder for farmers to control the insect problem that plagued the GM maize crop. But it seems that biotech giant Monsanto is not yet ready to admit the failure and taking the GM crop out of the African market. The main selling point of this particular GM maize is that it will allow corn farmers to have better corn production by planting corn that can resist pests and thrive in the area it is planted in. over the course of 15 years, insects that the said GM crop aimed to control has developed massive resistance. This led to the proliferation of insects and pests that are already becoming resistant to the powerful insecticides that GM maize employs during its cultivation. This has led to many South African farms to spray more insecticide into their farms, a practice that the said GM crops aim to minimize. But despite these worsening conditions, Monsanto is still trying to promote the cultivation of MON810 maize in other African countries in very sneaky ways. The biotech company donated MON810 maize royalty-free to the Gates Foundation’s Water Efficient Maize for Africa or WEMA Project. This project is being rolled out in African countries like Mozambique, Kenya, Uganda, and Tanzania. Although defective, the biotech giant is still trying to promote MON810 to these countries, thereby spreading the area where this type of GM maize is going to be cultivated. It certainly follows that the problems South Africa experienced while planting this defective GM corn will soon spread to the other African countries.